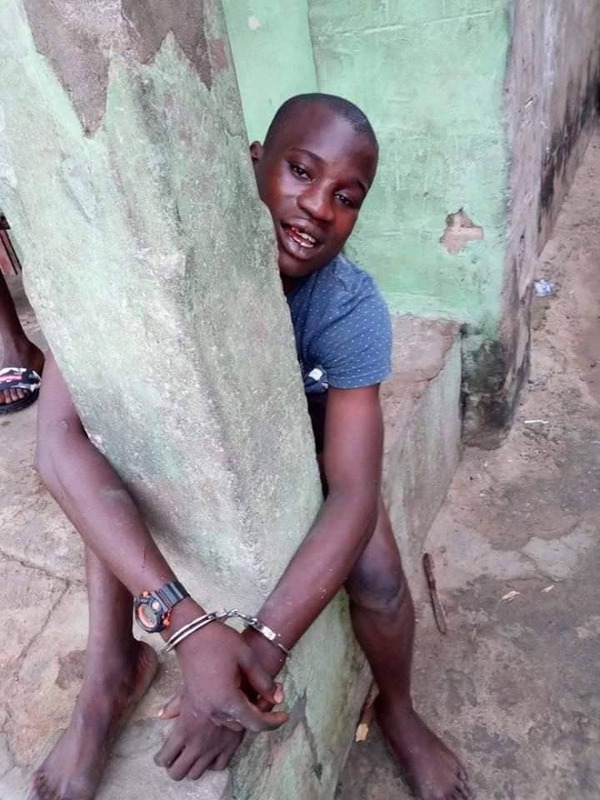 A suspected thief got more than he bargained for after he was caught stealing yesterday in Sapele area of Delta state. It was gathered that the young man out of frustration, decided to steal a tricycle popularly known as Keke Napep before he was nabbed on the spot. He was beaten mercilessly and also tied to a pillar till day break despite repeated pleas. He was later transferred to the police station for further investigation. 0 Response to "Thief Beaten And Tied To Pillar After Being Caught Stealing Keke (Photo)"